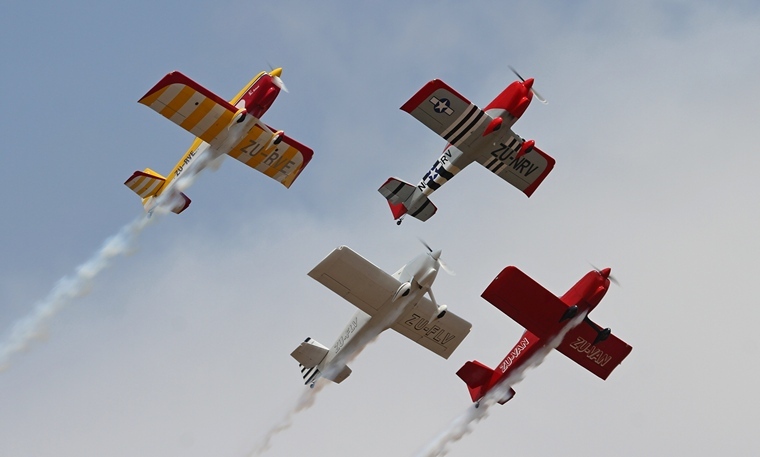 September is probably on of the riskiest month in which to schedule an aviation event. For the second weekend in a row, although not as bad as last weekend when three vents were cancelled because of rain, it none the less affected not only the RV fly-in but also the Sling event. Kittyhawk by mid-afternoon when most of the visitors had departed. Early morning low clouds over all Gauteng air fields made it impossible for a large number of visitors to attend which is a pity since the organisers went out of their way to make the day as pleasant as possible. First to arrive was Hugo Visser and Juba Joubert in Hugo's Aerospatiale Alouette III followed by a slow trickle of visitors. Henri Meijerink in the Tecnam Echo did a couple of circuits. Off the 20 RVs that registered only four where visitors, two from Coves, one from Rand, one from Fly Inn Estates and one from Panorama. Thirteen of which were parked on the immaculate grass apron in front of Kittyhawk's impressive clubhouse and restaurant. 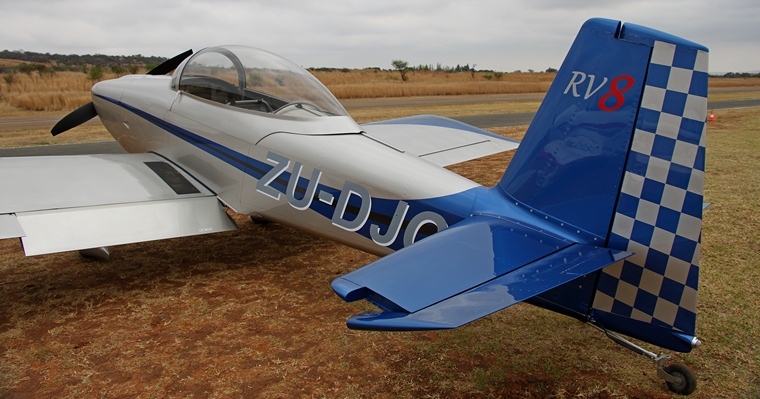 One of the newest on the register and a superb built RV8 was ZU-DJC of Daan Conradie. Another newbie was the RV10 professionally built by Wonderboom based AdVenture Air. Francois Vetter was one of the visitors from Coves. 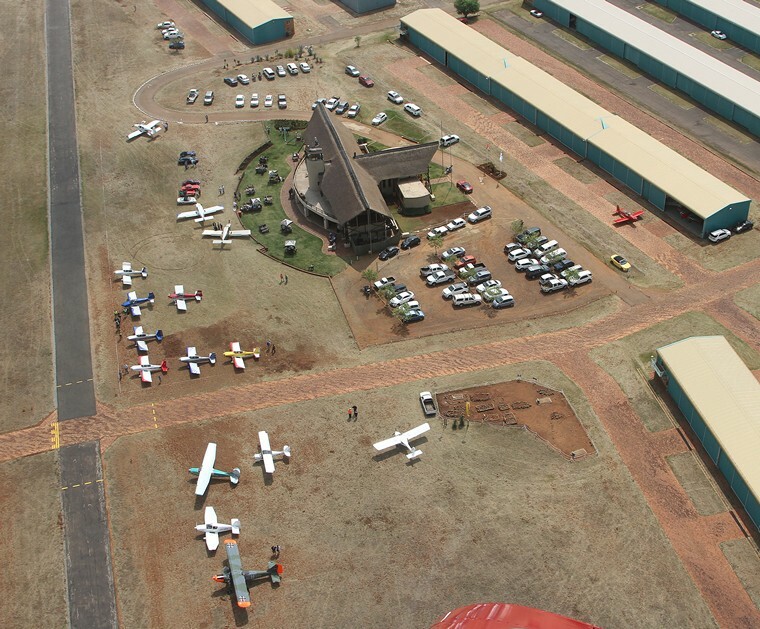 Trevor Davids and Pilot's Post correspondent Cheryl Smit arrived from Fly Inn Estates in Trevor's RV12. By midday, when the RV Raptor formation team took to the skies, the weather had cleared. 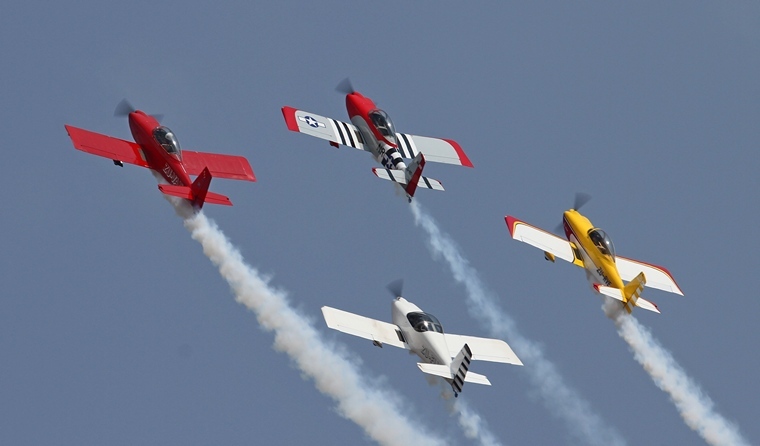 The Raptors had already made a name for themselves on the airshow circuit and on Saturday they showed why. A number of Lotus cars also visited and added to the festive atmosphere. Despite the inclement weather and low number of visitors a pleasant day was had by all and the organising, as always, was superb.